Do you ever have those days when you feel like a bottomless pit snaking on everything in sight? Sometimes your body requires more calories, but let’s face it, sometimes you just eat out of sheer boredom. But no worries—we’ve all been there. Here’s what you can do when you want to ward off those boredom munchies. When you want to eat everything in sight, it’s sometimes for a good reason: You’re hungry! 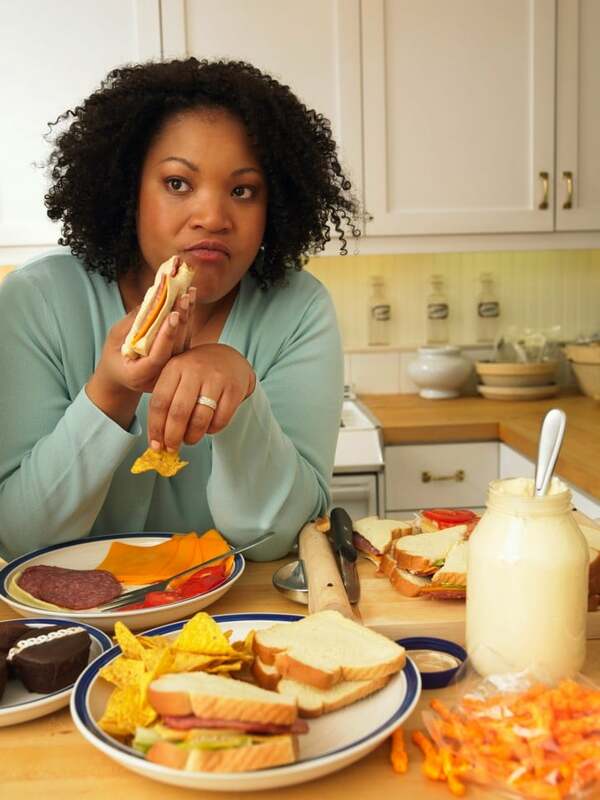 If your breakfast, lunch, or dinner doesn’t satisfy you, you inevitably end up aimlessly snacking. Instead, you should prepare a snack with a mix of healthy carbs, protein, and fat, and place it on a plate before you eat it. That way, you see how much you are eating instead of mindlessly chomping away. You should drink water throughout the day, but you should also sip right before and during meals to help satisfy hunger. And if you’re feeling extra snacky, chug 8 to 10 ounces of water and then wait a little while before you decide whether to eat something. Most of the time, water does the trick. A brisk 10-minute walk around the block with your mp3 player, is a good way to cure boredom munchies. Plus, you get a little extra exercise in your day! When you’re bored and feel like snacking, call a friend who you haven’t spoken to in a while and catch up. A good conversation is a good way to get your mind off of food. Instead of standing in the kitchen snacking away, do something more productive with your time: Organize! Your bedroom closet, your wallet, the junk drawer in the kitchen—it doesn’t matter, as long as it keeps your hands busy! You know you’re not hungry if you feel snacky after eating a big meal, so chew a piece of gum to prevent yourself from overeating. Usually your mouth just needs a distraction.